This is me on my new bike earlier this afternoon (photo taken by Mr Iain Dale). I've moved into an office on London's Doughty Street and a bike is the fastest and cheapest way of getting to and from Westminster. Note the panniers! On yesterday's Today programme - during a discussion of the twentieth century's most effective Prime Minister - it was suggested that Tony Blair was more of a press officer than a Prime Minister. The Conservative Party has, this morning, uncovered evidence that the whole Blair government is being taken over by press officers. Oliver Heald noted that the Home Office alone employs 145 press officers but they have been unable to finesse the PR blunders that have dogged John Reid's department throughout this year. John Prescott employs three press officers but no longer has any department. Hilariously, on this morning's Today programme, Sarah Montague noted that a BBC reporter tried yesterday to find a comment on the Tories' expose. The reporter was passed from press officers in Downing Street to the Cabinet Office to the Treasury as each press officer suggested someone else was responsible. Eventually someone told the BBC reporter that they would need to speak to individual Government departments. It's good to know that BBC reporters don't get treated any better than someone desperately applying for benefits or anyone else trying to navigate the Whitehall maze. This obsession with taxpayer-funded propaganda isn't just a New Labour problem. It's one of the few things that unites the whole Labour Party. On the London Mayor blog Phil Taylor recently spotlighted Old Labour Ken Livingstone's £100m advertising spending. For the first instalment of Greg Hurst's biography of Charles Kennedy see The Times. 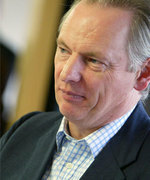 Historian Francis Beckett has decided that Margaret Thatcher is the most effective Prime Minister of the 20th century. Mr Beckett, who authored a highly critical biography of Mrs Thatcher, put the Iron Lady in the same '5 out of 5' category as Clement Atlee. They were judged to have (1) a clear idea of what they wanted to achieve in office, and (2) they went on to deliver what they wanted to achieve. Edward Heath ends up ahead of Winston Churchill in the second tier of Prime Ministers. But succeeding in taking Britain into the European Economic Community can hardly equal keeping Britain out of a Europe run by Hitler? Few Tories will have a problem with Tony Blair's mid-table ranking. Tony Blair is at the bottom of the '3 out of 5' grouping of twentieth century PMs. Three other Tories - John Major, Anthony Eden and Neville Chamberlain - sit at the bottom of Beckett's list. This picture of Tony Blair on his Caribbean holiday appeared in this morning's Daily Mail. What issues might frame the next General Election? On the issues of the past he has, for example, abandoned the patient’s passport and has today repudiated Mrs Thatcher’s stance on sanctions against South Africa. In terms of preparing for the future he has emphasised global warming and is about to visit the emerging supereconomy of India (the economy will, after all, always be an election issue). Violent crime is seven times higher than in 1960. Three times more people claim Incapacity Benefit than did in 1980 – nearly three million people. Many countries in Asia and elsewhere are strengthening free markets, courts, and education systems and are growing fast. A quarter of kids now leave school unable to read properly. We spend the same as Germany and France on health but the NHS has bigger waiting lists than Germany and France put together. The EU and European Courts can make laws for Britain that affect the economy, crime, immigration and terror regardless of what the British people want or how they vote. A recent poll for The Times found that over 100,000 Muslims in Britain think of the 7/7 bombers as “martyrs” who were justified. My own list of ‘hard facts’ would additionally include nuclear proliferation, the increasing portability of devastating weaponry, the demographic timebomb and the ways in which technologies might soon be able to engineer human beings. Over the last few hours ConservativeHome has been highlighting the findings of an ICM poll for The Taxpayers' Alliance. Previous posts have highlighted the arguments most likely to persuade voters of the need for lower taxation and the voters' overall anger at the burden of taxation. The graphic on the right highlights the taxes that Britons most want to see cut and it is a cut in council tax that wins most agreement from voters. Lower taxation of businesses - the favoured option of Shadow Chancellor George Osborne - comes bottom of the list but still commands strong support. The advantage of lower taxation of business - compared to a reduction in council tax - is that it is more likely to have supply-side effects on incentive structures within the economy; dynamically increasing growth and employment. The Sunday Telegraph reports that George Osborne is actively considering the abolition of stamp duty on share trading. IN CONSERVATIVEHOME'S FINAL POST ON THE ICM/ TPA POLL - AT 3PM - WE WILL EXAMINE SOME OF THE LONG-TERM CHALLENGES FACING BRITAIN. David Cameron has won some banner headlines this morning for repudiating Margaret Thatcher's South Africa policy. As posted on Thursday, ConservativeHome is supportive of the Tory leader's international development policy and it is difficult to get excited - one way or the other - about his reflections on the Thatcher governments' opposition to sanctions. "More than 200 women have been sexually assaulted in the last five weeks alone around Darfur's largest displaced camp, Kalma, an alarming trend that is yet another sign of the region's plummeting security situation. The situation is so dire that about 300 women convened a meeting in Kalma on Aug. 7 to plead for more help from the outside world - particularly from African Union troops mandated to protect civilians." I wonder what the Conservative leader of 2020 will make of what David Cameron did - or didn't do - about Darfur? Did the Leader of the Opposition make it impossible for Tony Blair to ignore this human tragedy by constant campaigning on the subject? Amnesty International, the Darfur Union and the anti-genocide Aegis Trust are organising a demonstration outside of the Sudanese Embassy on 17th September. It would be a good opportunity for Mr Cameron to begin raising the Darfur crisis. At 9pm yesterday ConservativeHome spotlighted the headline findings of an ICM poll for the Taxpayers' Alliance which showed that 20% of Britons were seriously considering emigrating from high tax, high crime Britain. Up until now the Tories have been very cautious about promising lower taxes but George Osborne, according to The Sunday Telegraph, is now considering abolishing stamp duty on share trading. "Lower taxes would allow you to spend more of your hard-earned money on your own priorities." 81% agreed with this argument and only 10% disagreed. "People have to pay 40% tax if they earn just £32,500, which captures many people like average teachers who aren't rich. This threshold should be raised significantly so that only the really rich pay 40% tax." 79% agreed and 10% disagreed. "Too many poor people struggle because they have to pay taxes. If we raise the personal allowance theshold significantly from £5,035, a couple of million of the poorest taxpayers will not have to pay any taxes and average earners will pay less tax too." 78% agreed and 11% disagreed. "Politicians waste money and lower taxes would force them to spend more wisely - we have to budget, so should the politicians." 76% agreed and 12% disagreed. "It's morally wrong that politicians take so much of our money then waste it. We should cut taxes to force them to budget better." 73% agreed and 15% disagreed. Under its young and dynamic leadership of Matthew Elliott and James Frayne the TPA is planning to run adverts online and in cinemas and is creating a Web TV news programme in order to bypass the old media. TPA also plans to send direct mail to 100,000 businesses and a million homes in the next few months. It already has 14,000 supporters but is building a grassroots national network with important regional campaigns from the autumn. AT 10AM CONSERVATIVEHOME WILL PUBLISH A LIST OF THE TAXES THAT VOTERS MOST WANT CUT. YouGov's poll for this morning's Telegraph offers a similar headline result to that of ICM's survey for Tuesday's Guardian. In contrast to ICM, however, YouGov does not find any strong movement between Labour and the LibDems. It records a 7% Tory lead and helps produce a 6.4% Tory advantage in ConservativeHome's poll of polls. YouGov finds that by 43% to 36% voters prefer a Conservative government led by David Cameron to a Labour government led by Gordon Brown. The most interesting component of the YouGov poll is a comparison between voting intentions at last May's General Election and today. A Telegraph leader is underwhelmed by the overall Labour to Tory swing of 4% but that swing hides significant differences. The swing to the Conservatives amongst women, for example, is 6% but only 2% amongst men. It is 9% in London but just 2% in the North West and 3% in Yorks & Humber. Jonathan Scott wrote about the Tories' continuing 'northern problem' on yesterday's Platform. RETURN TO CONSERVATIVEHOME AT 9PM TONIGHT FOR A MAJOR ANALYSIS OF WHAT PEOPLE THINK ABOUT POLITICS, POLICY AND THE CAMERON PROJECT. "These proposals represent a significant softening of the punishment for shoplifting. The law-abiding public expect that people stealing from shops should be properly punished, particularly if they are persistent offenders. We need to avoid a situation where the proper custodial deterrents for shoplifting are reduced to mere occupational hazards like small fines and conditional discharges. The Government has not provided enough prison places and, as a result, is having to release prisoners early or not send them to prison in the first place. The public and the criminal justice system deserve better." The maximum sentence for shoplifting is currently seven years but an advisory panel to the Home Office has recommended ending the practice of jailing offenders. Already the chances of imprisonment are low. Of 280,461 recorded offences last year only 13,135 were imprisoned - most of those found guilty were punished with penalty fines. Shoplifting reportedly adds £1 to the average family's weekly bills. ConservativeHome recently revealed that Danny Kruger was leaving The Telegraph to become special adviser to David Cameron. He provides the cover feature for this month's Prospect magazine and he identifies his new boss' big idea as 'fraternity'. Prospect declares that Danny is writing in a personal capacity - but given that CCHQ distributed the article via email yesterday afternoon we can conclude that they are quite happy to be associated with it. The article is beautifully-written and focuses on one of the most important debates in politics. For the left individuals are largely connected with one another through the state. Through those connections they receive their education and their welfare, for example. For the right, in contrast, individuals are largely joined together by society. It's a subject dear to my heart and when I ran CCO's Renewing One Nation policy unit I oversaw the publication of 'There is such a thing as society'. "Fraternity is the sphere of belonging, of membership, the sphere of identity and particularity. It exists in civil society, in the arena of commercial and social enterprise, of family and nation. It concerns neighbourhood, voluntary association, faith, and all the other elements of identity that relate us to some and distinguish us from others. It concerns culture." Up until now Cameron has spoken of 'shared responsibility' rather than 'fraternity' but the Tory leader is clearly interested in the great mix of people-sized institutions that lie between the individual and the state and which give our lives their richness and meaning. David Cameron is committed to localism, he writes: "Localism is one of the defining themes of today's Conservative party... Localism comprehends both liberty, the belief that people should be trusted to make the decisions that affect their own neighbourhoods, and fraternity, the recognition that a community is all in it together." But are David Cameron's instincts really localist? There wasn't much localism on show earlier this week when the ability of local Conservative parties to choose their own candidates was sacrificed in order to meet CCHQ's centralised target for more women MPs. Very Gordon Brown and a decision rightly criticised by the Direct Democracy group. Danny Kruger correctly identifies the corrosive effect of Gordon Brown's tax burden: "We are suffering what Keith Joseph long ago called "the pocket money society": a combination of high taxes, high house prices, expensive pensions and large welfare entitlements runs the risk of infantilising the population, leaving us each with just enough money to spend on pleasure but not enough to spend on the responsibilities of adulthood." But what is Team Cameron proposing to do about Gordon Brown's record tax levels? Almost nothing. Danny Kruger defends Team Cameron by pointing to plans to prioritise cuts in business taxation. Businesses, says Danny, are "the fraternal glue that holds many communities together." True but tax relief for families and charities is probably more important for ending that 'pocket money society'. Danny Kruger's third reason for hope is David Cameron's commitment to marriage and the family: "The promotion of marriage will promote liberty. More importantly, it will also promote fraternity. The evidence shows that, more often than the alternatives, the institution of marriage binds a family together, helping children grow up happy and socialised." The jury is still out on David Cameron's commitment to the family although I am optimistic that IDS' social justice policy group will be clear in the need to support marriage. David Cameron hedged his bets in his recent speech on family policy and he certainly faces opposition from the likes of Tim Yeo to dilute his leadership pledge on a tax allowance for married couples. Danny Kruger may have an uphill struggle making the rhetoric match the policy agenda but it is very good news that he is in the leader's office - making the case for 'fraternity' to be a central feature of Project Cameron. "Flexible working practice is a key element in the delivery of economic competitiveness, social justice, affordability in public service delivery and an improvement in General Well Being. Making work accessible will form a cornerstone of the next Conservative Government's programme for delivering its social, economic and environmental objectives." The Government, as Britain's biggest employer, would take a lead in promoting flexibility by "deregulating to permit it"
His main rationale is that conventional working practices are anachronistic when companies are increasingly interacting with competitive economies in different time zones, and that more flexible working will increase our human capital - "the natural resource of Britain". It will also increase productivity as workers will have "an enhanced working environment". 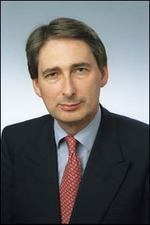 Hammond went on to say that writing off the 2.7 million people on incapacity benefit as completely unemployable is a "terrible waste of human resource", and that Britain's 5 million people on out-of-work benefits should help plug the gaps in the labour market rather than economic migrants. Just as the job-for-life is a thing of a past, the line between employment and unemployment will be increasingly blurred. Apart from anything else, it's a welcome change to see a relatively low-profile member of the Shadow Cabinet being given the chance to make a significant speech on their brief rather than the leader. "Nelson Mandela is the most remarkable statesman of our age, and I found his insights into the challenges facing South Afric, the continent of Africa and the wider world hugely valuable... What struck me most were his personal qualities - his warmth, his wisdom, his sense of humour and his optimism... Engaging in the challenges facing Africa is a key part of modern Conservatism. I think it's vital to learn first-hand from the people and organisations working on the ground." BBC Online carries a report of the Mandela-Cameron meeting. Editor's note: "David Cameron's approach to Africa has been a welcome contrast to his approach to the environment. In both cases the Tory leader is rightly attempting to broaden the appeal of the Conservative Party by emphasising issues that have been neglected by his predecessors. In his approach to the environment he has broken ranks with other international conservative leaders and embraced the failed environmentalism of Kyoto. Fortunately, in his approach to Africa and global poverty the Conservative leader has largely recommended authentic conservative solutions. 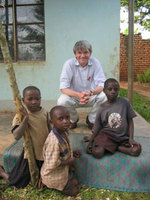 Recently, for example, he proposed aid vouchers as a more effective way of targeting development assistance and his development spokesman, Andrew Mitchell (pictured), has recommended a free trade zone for Africa. One of David Cameron's best speeches during his leadership bid was on global poverty last November. He emphasised the importance of property rights, attacked Christian Aid's disdain for capitalism and called for a focus on 'killer diseases'. The appointment of Peter Lilley as head of the global poverty policy group was a further reassurance for authentic conservatives. As we drive our tanks on to our opponents' turf - as David Cameron has been doing on the environment and on global and domestic poverty - are we fighting with distinctively conservative weapons or are we adopting the failed methods of the left? When David Cameron spoke to the Centre for Social Justice about UK poverty in January he gave strong indications that his approach to poverty-fighting would be authentically conservative with an emphasis on the voluntary sector, welfare reform and strengthening of the family. As we occupy new territory are we dangerously abandoning existing strongholds or are we broadening the party's appeal? With David Cameron's renewed emphasis on homeland security and a more robust position on immigration from new EU member states, there have recently been welcome signs of a movement towards ConservativeHome's 'politics of and'. PS Let us hope that while in Africa Mr Cameron makes a significant statement on Darfur. The Tory leader made much of his commitment to this deeply troubled part of the world during his leadership bid but has been strangely silent on the situation in Sudan ever since." "Under an agreement reached with the unions in July 2004, the ‘Warwick Agreement’, Labour agreed over 60 concessions, including the watering down of anti-strike legislation and additional Government funding for the unions. 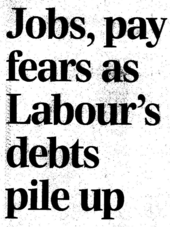 In return, the unions agreed to provide funding for Labour’s 2005 General Election campaign. Labour introduced the Employment Relations Act 2004 which created a £10 million ‘modernisation fund’ for the unions, with few conditions attached. Labour bowed to union pressure and shelved plans to force existing public sector employees to retire at 65." Meanwhile the Conservative Party faces pressure to declare the source of historical loans. Peter Watt, Labour's General Secretary, told BBC: "It appears that the Tories have only declared loans taken out in the last quarter. In addition to this they still have not declared who their overseas lender was." Both today's Mail and Sun highlight Labour's failure to control immigration into Britain. The Daily Mail notes that "it will take more than a century to clear the backlog of failed asylum seekers." It bases this estimate on the fact that there are 400,000 rejected asylum seekers still living in Britain but that in the last year there have only been 3,500 more deportations than new cases. "One million migrants have poured into Britain in the past two years, it was revealed yesterday. Of those, 427,095 were from ten countries which joined the European Union in May 2004. Ministers had estimated that number would be only 26,000 — a rate of 13,000 a year." Tory immigration spokesman Damian Green (who, on Sunday, called for restrictions on economic immigration from Romania and Bulgaria) is quoted in both stories. Tory strategists have clearly decided to keep David Cameron away from the subject but deploy the home affairs team to debate an issue that is dominating the tabloid news agenda. "What is also interesting is the fact that the Lib Dems and now factions within the Labour Party are starting to see the potential that campaigning on taxes has. The Lib Dems have correctly judged that the issue of thresholds is extremely powerful electorally - we think the same. And Byers is right that the public also dislike inheritance tax and that message can be made popular, just as Alan Milburn was right to flag up the issue of the failure of tax credits back in the Spring... Unfortunately, many in the Conservative Party are still determined to campaign today as if we were still in the 1990s. They cling to a belief that talking about lower taxes will make them look "selfish", "out-of-touch" etc. That is wrong and they risk being left behind if they don't accept this fast." This morning's Telegraph reports that George Osborne thinks it "irresponsible" to commit to scrapping IHT this far from a General Election but he did say that he was looking at reform options. These include "raising the threshold, cutting the rate, or exempting a person's primary home". After grassroots anger at David Cameron’s new changes to candidate selection the Conservative leader receives a big boost from a new ICM opinion poll in The Guardian. The Conservatives enjoy a 40% to 31% lead over Labour – enough, writes The Guardian’s Julian Glover, for David Cameron to enjoy a narrow parliamentary majority. The growth in the Tory lead is because of a marked shift of support from Labour to the LibDems. Labour is down four points and the LibDems up five. The 22% standing for the LibDems would appear to vindicate (in electoral terms) Ming’s strong criticisms of Tony Blair’s solidarity with Israel. Labour will be surprised that it receives no benefit from John Reid’s sure-footed handling of the recent terror alert. 72% of voters told ICM that government policy has only increased Britain’s vulnerability to terrorism. The Conservatives now enjoy a 6% lead in ConservativeHome’s poll of polls. The Bow Group have today published a policy brief with this title, challenging some currently received wisdom in education policy. Its author, Mark Nicholson, is a Chartered Accountant, financial analyst and former candidate for Ealing Southall. Internationally, there is no correlation between performance in reading and maths, and per pupil spending. A lot of funding has gone into reducing class sizes, but international comparisons suggest that small classes make no meaningful difference to learning. 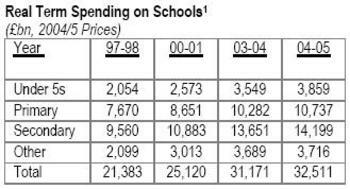 Teacher salaries have increased but bureaucracy is putting them off, with the number of vacancies as a proportion of available positions staying at a similar level to 9 years ago. Money has been pumped into quangos (such as the Qualifications and Curriculum Authority and the Learning and Skills Council) with little to show for it. Nicholson concludes that resources are most effective when they affect "softer factors" like teaching time, teacher-student relations and school discipline. If the government had focused its massive influx of funding on these things, the quality of British education could have been transformed over the last decade. Sir Jeremy Beecham, Chair of Labour's NEC, admitted quietly on Friday that donations to Labour had "disappeared" since the cash for peerages scandal was uncovered. He said he was considering requesting the Phillips inquiry to ask for more government money to cover Tony Blair's security at all Party events. Labour deny the first three points, but it would be politically significant if Labour really is courting the Trade Unions for more money. Like government grants, their funding would not come without strings so we would expect more of a "true Labour" manifesto at the next election rather than a New Labour one. Considering that the number of Labour Party members has more than halved whilst they have been in power, and the number of its Councillors dramatically reduced at local elections, its ability to put up a decent fight at the next election has got to be seriously questioned. "This is an idea that must be shouted down at once: rather than imposing an ethic of good housekeeping on the parties, it would merely encourage them to waste more of our money instead of their own. A better and far more popular approach would be for the leaders to agree that the whole edifice of British party politics must be scaled down for the general good." Political parties do of course have a vested interest in funding themselves the easy way, but Conservatives should resist this. It would not only be staying true to our principles, but - assuming we can keep the faith of our own activists - it would stop a dying Labour Party being bailed out by the taxpayers.